Leaked photo of blue HTC One M8 | Android Blast! HTC is making a huge push to get back in the game with the One M8. Many already believe the HTC One M8 is the best smartphone in the world, but it has so far failed to bring HTC into any sort of dominance. The company released the M8 in black, and now a leaked press shot shows it off in blue. 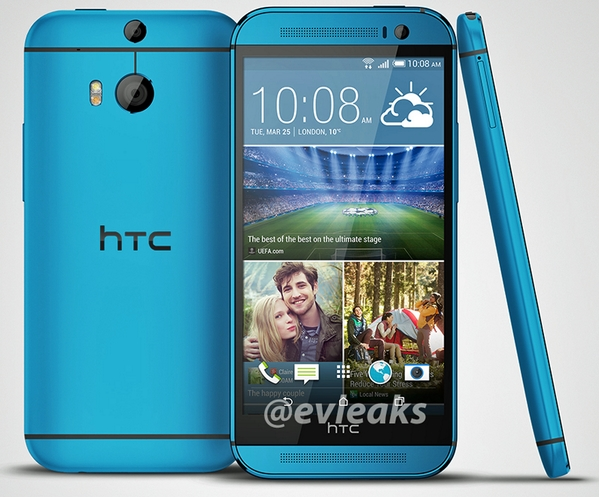 A press shot of the blue HTC One M8 was posted on @evleaks Twitter page yesterday and it looks great. No official release date or region has been announced so we can only hope it makes its way to US carriers soon.